I really enjoyed A Single Breath, which I found mildly surprising as my enthusiasm on picking it up was a little lacklustre. Probably this was because it was the third book I was reviewing in the last six months whose basic plot goes something along the lines of; husband dies unexpectedly, wife finds out he was a lying git and has to come to terms with it. It’s not an original story arc but this is a fantastic book none the less. A large chunk of the novel is set in Tasmania, which is a place I’ve never been to but this novel had me wanting to get my rucksack out of the garage and board the first flight to Hobart. 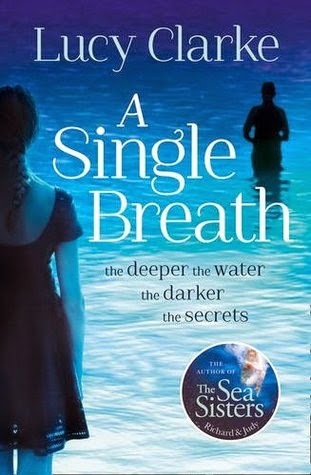 Her descriptions of island life, the sea and the stars are magical and I was hooked. To be fair although the bare bones of the story are a tad predictable from the cover blurb, in fact there are many strands, threads and characters that kept me guessing right until the end. Eva and Saul are well-crafted characters. Eva wanders between disbelief, grief and moments of gritty strength in a convincing fashion, and Saul, well he’s the stuff of dreams. It's not often that an author gets you lusting after the leading man and a landscape but Lucy Clarke did this brilliantly.